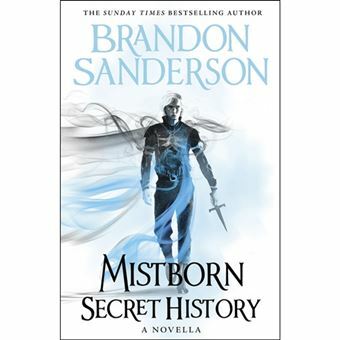 A superb companion novella set in the Mistborn world, by bestselling author Brandon Sanderson "Mistborn: Secret History" is a companion story to the original Mistborn trilogy. As such, it contains huge spoilers for the books «Mistborn» ("The Final Empire"), "The Well of Ascension", and "The Hero of Ages". It also contains very minor spoilers for the book "The Bands of Mourning". "Mistborn: Secret History" builds upon the characterization, events, and worldbuilding of the original trilogy. Reading it without that background will be a confusing process at best. In short, this isn't the place to start your journey into «Mistborn» (though if you have read the trilogy - but it has been a while - you should be just fine, so long as you remember the characters and the general plot of the books).